Since I am in between houses, I need to get rid of some Carcassone items. - Two new and sealed Ark of the Covenant. If interested, please send me a pm with your bid. I forgot that I also sell carcassonne LE SAC! How on earth did you have all that space in your cupboards! One Limited edition sealed is still for sale! 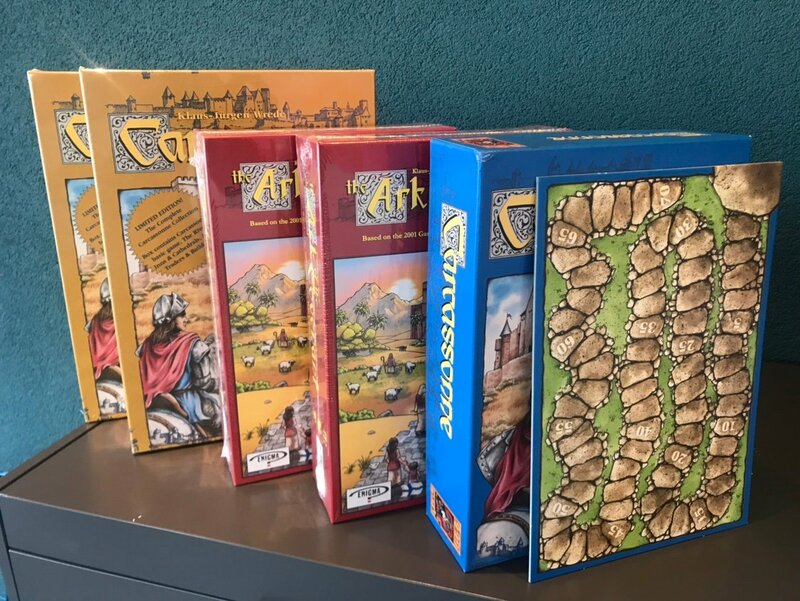 Do You Feel The New & Old Carcassonne Editions Are Compatible?